There are scents that we like on their own – because they smell nice, make us feel good or appeal to our sense of beauty. Other scents (while being all that as well) are linked to pleasant memories, positive experiences or special occasions. 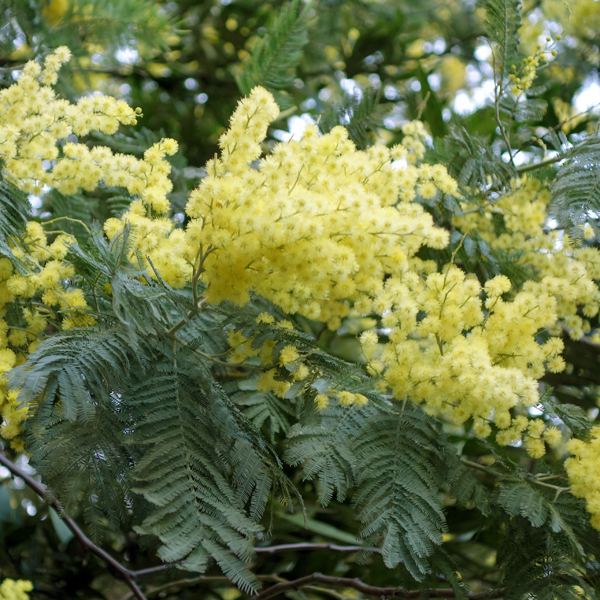 Mimosa is one of the scents of the second kind for me. I told my mimosa story short after I started this blog in the first post of this “In the Search for the Perfect…” series (since most of you weren’t here back then, you could look over the first two paragraphs of that post so I do not repeat myself). 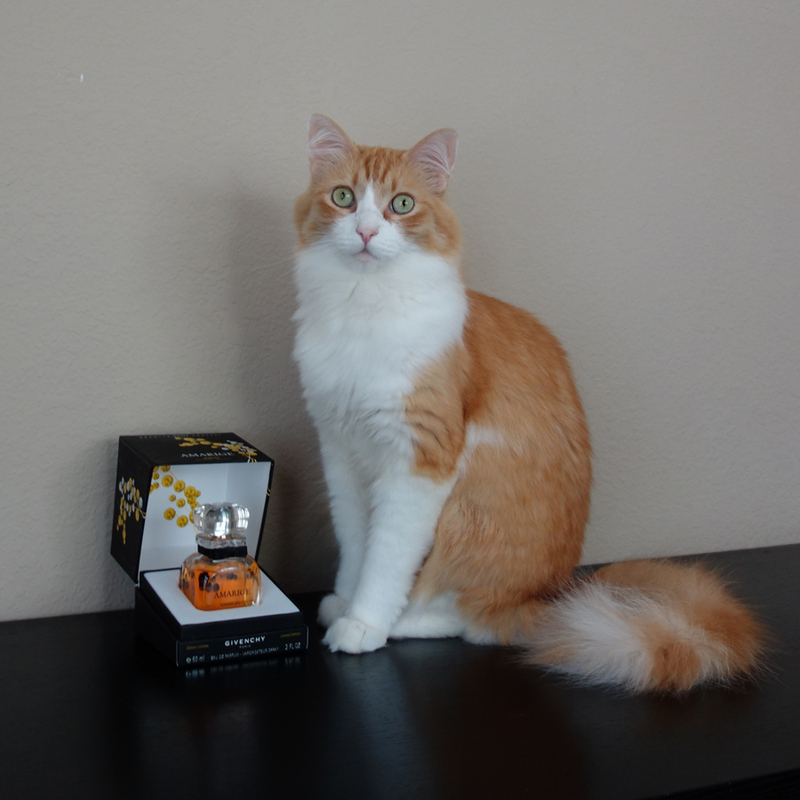 At that time I tested several perfumes – Amarige Harvest Mimosa 2007 by Givenchy, Mimosa by Calypso, Mimosa pour Moi by L’Artisan Parfumeur, Le Mimosa by Annick Goutal and Amouage Library Collection Opus III. 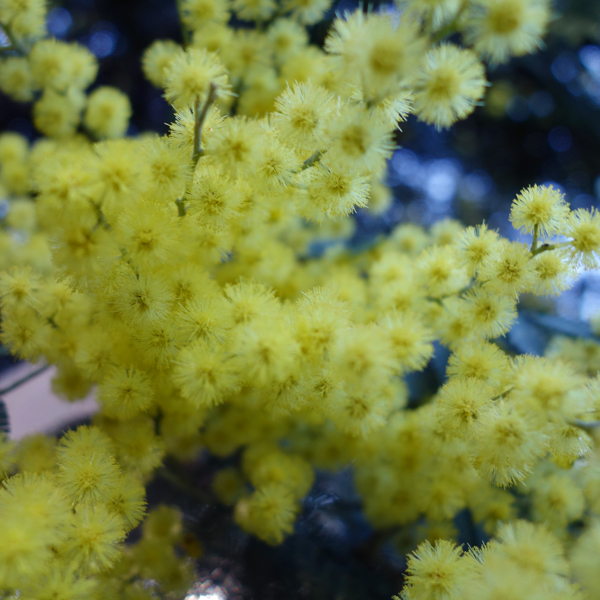 The conclusion was that I really liked only the one, a bottle of which I already had – Amarige Harvest Mimosa (though as time showed it became one of my “tsundoku” perfumes). A year later I approached the subject again (you can skip this post unless you want to see a picture of Rusty playing with mimosa) and realized that as much as I enjoyed the scent of real flowers on a branch mimosa note in perfumes interested me mostly as a part of a bouquet and not as a soliflore. I wasn’t sure then if I liked it enough, but several years later a travel bottle of Une Fleur de Cassie by Frederic Malle has joined my collection. 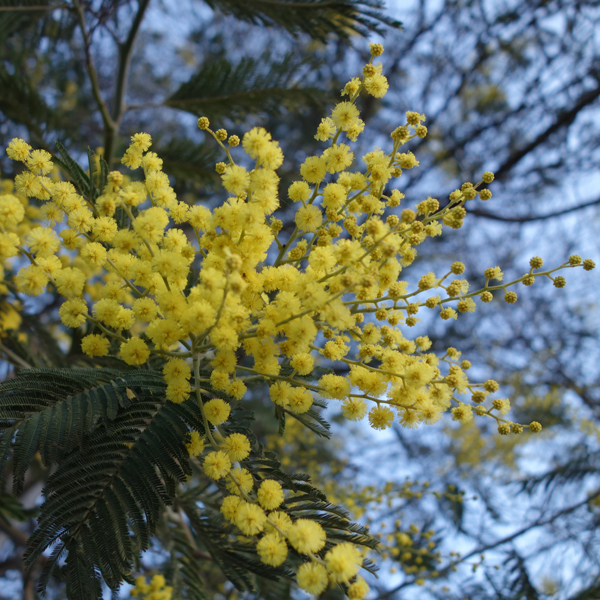 I still like mimosa and can’t pass by a blooming tree without stopping and smelling it. I would gladly buy a bunch of mimosa but I’ve never seen it in a shop so I don’t know if it’s sold anywhere in the U.S. And I’m still drawn to mimosa-centric perfumes. When I came across Jo Malone‘s Mimosa & Cardamom in a store for the first time I immediately had two thoughts. The first one was: why have they decided to release it in September when there was absolutely no chance to get real mimosa to decorate the stand (so they used artificial flowers, which looked a little weird)?! And the second one was: I want it! Mimosa & Cardamom is just a mimosa perfume I was looking for: its mimosa note is sunny and happy but there is something beyond that note that makes this perfume not boring. Same as for Victoria whose review I recommend you to read if you haven’t tried Mimosa & Cardamom, it stays on my skin for a long time – and I enjoy every minute of it. This year’s mimosa season brought me one more pleasant discovery. 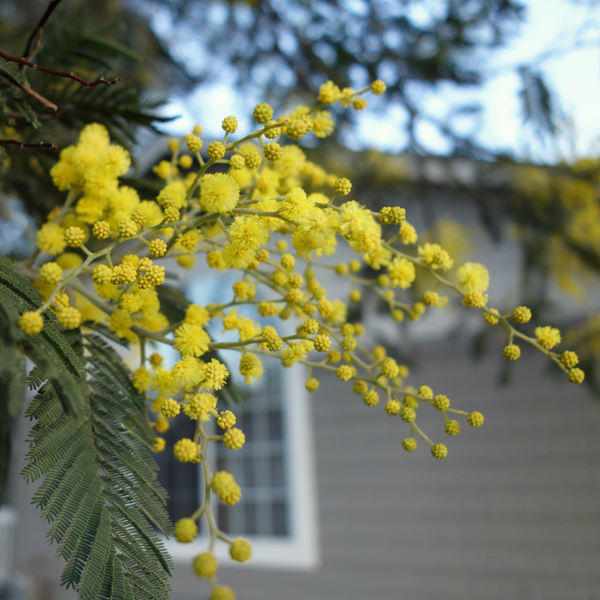 A friend of mine from Texas who came to California last month to celebrate her and my birthdays, while in wine country, collected mimosa flowers, pre-processed them, hauled them around on the trip, then back at home made them into an amazing confiture and sent me a jar of it as an extra birthday present. Did I say already it was amazing? It’s real mimosa in a jar! It’s light, not too sweet and a little bitter. And it’s great with ricotta cheese. I don’t think everybody would like it: you have to like mimosa to appreciate this confiture. I happen to love mimosa. I’m not sure if it’s possible to buy mimosa confiture (and even if it is possible, I doubt it would be as great as my friend’s creation) but if you have access to mimosa and would like to try making it yourself (or if you just want to see how it looks out of the jar), I refer you to my friend’s recipe.